Classical Blast presents special concert shows perfect for a variety of concert venues large and small, from school auditoriums, concert halls, churches, theaters and other concert settings. These professional themed shows appeal to a broad audience of all ages and can be tailored for your specific needs. The shows can also include stage props, a variety of special guest artists and more, depending on venue size or budget. In any case, they are always uniquely “Classical Blast"… a mash of classical, rock, pop and other music presented as only they can arrange and perform it. It’s the past, present and future together in perfect harmony! 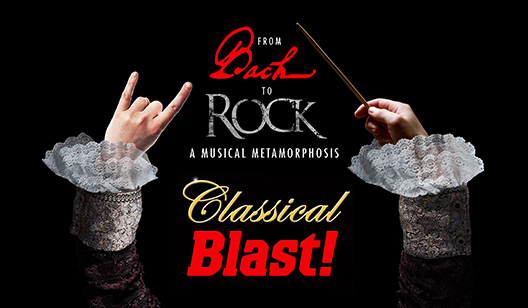 Classical Blast’s “From Bach to Rock” features music from their Metamorphosis CD and so much more. A melding of classical and classic rock, the show explores the many links between todays rock music and the famed classical composers, from Bach to Beethoven, Handel and others, along with their influence on modern artists like The Beatles, The Police, Queen, Pink Floyd, Procol Harem, and so many others. It’s a wild ride through the ages that totally rocks out! The perfect show for theaters large and small, students of all ages, even fests. The show can be adapted from 30-120 minutes and includes props and staging where applicable. 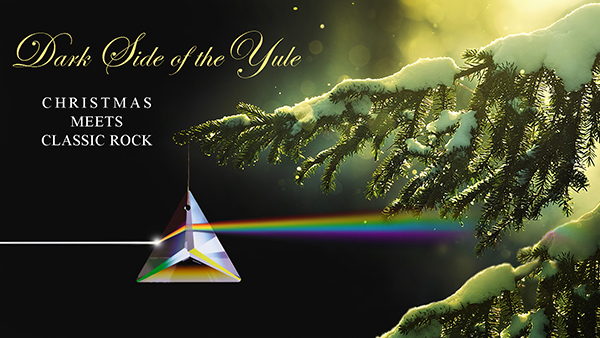 Classical Blast melds classic rock and Christmas in this exhilarating concert experience that’s sure to become an annual holiday tradition. Combining rock hits from Metallica to Pink Floyd with their unique take on traditional carols and classical favorites, Classical Blast has created one of the most unusual and enjoyable holiday shows to be found. It’s eye and ear candy the Sugarplum Fairy herself could be proud of. With guest vocalists and musicians, storytelling and unforgettable music, it’s a Christmas show that can suit any venue. From intimate 100 seat spaces to 1000 seat concert halls, let Classical Blast bring their brand of Christmas to your patrons this year! "Classical Blast gives Christmas music a twisted glow"